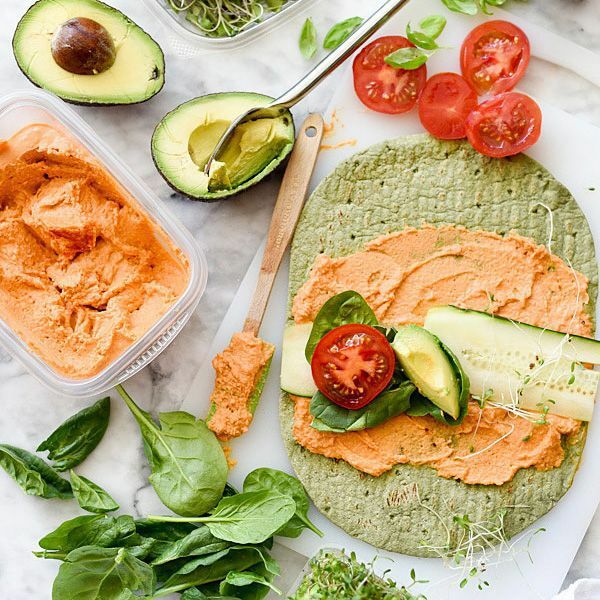 Second only to cherished family recipes as our dinnertime go-to, Pinterest is chock-full of innovative meal ideas that are sure to meet any foodie's needs. Of course, the sheer amount of recipe ideas on the sharing platform can be overwhelming. Fortunately, Self recently dug through its endless archive to uncover one of the most popular healthy snack recipes on Pinterest: Dinner at the Zoo's rainbow veggie pinwheels. With over 407,000 saves, this snack is healthy, budget-friendly, and—most importantly—easy to make. Mix together the cream cheese and ranch powder until thoroughly combined. Spread the cream cheese mixture evenly over the 4 tortillas. Leaving a 1-inch border on all sides, lay out 2 tablespoons of each vegetable in rows across the tortillas; top with shredded chicken. Next up: the five surprising foods you should never cook in a crockpot.